Sněží v rezortu Harghita Mădăraş?Děkujeme! The Harghita Mădăraş is one of Transylvania’s most popular ski resorts. 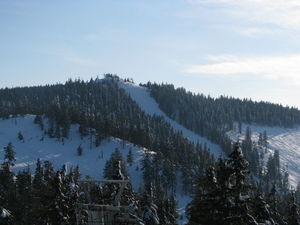 Ski-runs at Harghita Mădăraş are at a height of 1500-1760 metres. The ski season lasts from December until April at Harghita Mădăraş and in this period there is snow for sure. However, the quality of this depends on the weather. 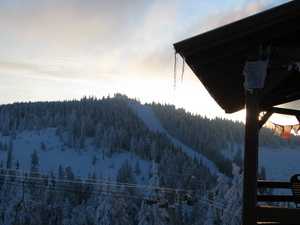 If it is favorable the ski season at Harghita Mădăraş can last until May. 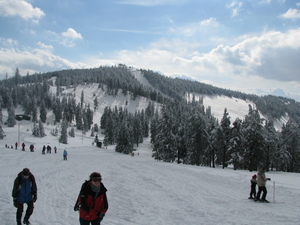 It's the most snow-sure resort in Transylvania, except the Balea region, due to its specific microclimate. The season usually lasts from early December to mid-April, best in February and March. The resort (Harghita Mădăraş) is located in Harghita county some 15km near Odorheiu-Secuiesc (Szekelyudvarhely) town, in the heart of the Hungarian - inhabited Szekelyfold. The local people know this mountain as the Szekely's Holy Mountain (1800m). There are 4 main slopes: Nagy Mihaly (black), Kis Mihaly (red), Sugo (blue upper and red bottom section) and the blue crest way. They are equipped with T-bar lifts. There are several chalets here all very close to the pistes, the most modern being the Sugo Pension. The upside: breathtaking scenery, beautiful and consistent snowpack, moderately crowded with mostly good skiers and mountaineers. 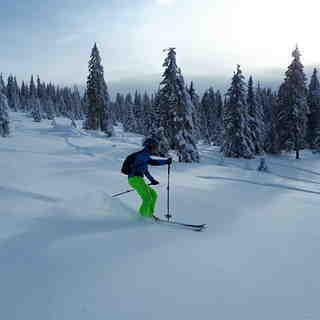 Yes, it's very suitable for off-piste skiing and ski-touring, offering anything from easy crest circuits to very demanding off-piste downhill in open terrain or woods. It's a perfect weekend resort for non-skiers also with easy and still breathtaking trekking routes. It's relative remoteness, especially due to the 10-km forest way up rom the nearest village acts as a filter, leaves "bad elements" at home or other resorts. It's a thing one nature and mountain-loving man really appreciates. You can leave your gear at the upper end of the piste while you eat/take a rest as no one will touch it, quite a thing in Romania. Don't forget your photo camera as you rarely experience such a genuine wild scenery with interesting snow formations, all very accessible for non-trained tourists also. The accomodation and food is good for Romanian standards with medium prices. The people are honest and very helpful. The downside: the 10-km way up is recommended for 4x4 or experienced small car drivers only! The road has no asphalt and is very rugged when not snow-covered, many broke their oil tanks there. Use of snow chains is a must, but when snowy at least the road is quite even. For those who don't want to risk the drive up, there are tractors who regularly clean the road and simultaneously carry visitors with all equippment for 10 lei. The ski pistes could be better maintained, lots of icy/rocky sections which happen to be the steepest also. Together with the often 1-m snow bumps this calls for extra fitness and technique and may damage your skis. Uncertain programme outside weekends and holidays, but available anytime for big (30+) groups (you have to speak with the operators). All-in-all, this place is perfect for mountain lovers seeking a challenging weekend ride in a rare beauty and tranquility, who don't bother the difficult access, but rather see it as an advantage vs. Poiana Brasov, the biggest resort is Romania but also the most crowded and far not as snow-sure. 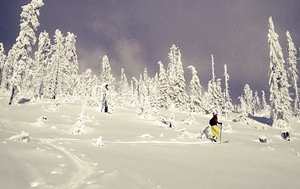 The 10-km road down is suitable for skiing and adds to the charm. The 1-hr trek to the mountain top is a must! This resort (Harghita Mădăraş) is well known and appreciated in Hungary also.